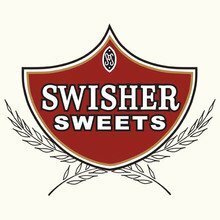 If you want a delicious quick smoke during lunch or a coffee break, nothing beats the great taste of the enormously popular Swisher Perfecto. It is available in boxes of 50. The first 1/3rd was only Okay. I could not detect any flavor that reviewers talk about. After that it got ashy tasting and smelled like an ash tray. I never tasted anything close to sweet, not even the wrapper. It held together well. Burned evenly, had a long ash, and lasted 45 minutes. And it kind of stung my tongue starting at half length. Great smooth taste. A good light cigar. A good quality smoke for an affordable price, especially if you buy at JR! A Macanudo Maduro it's not, but I live off a budget and they aren't as bad as some I've had, the smell and smoke keeps the family and mosquitos away, so all in all a very useful cigars. I smoke a box a week and can't afford the trendy, high-priced cigars. This one is an affordable and good compromise. They will accumulate a little tar in the draw-hole unless you clip it with a cigar clipper. I've bought many boxes of these from JR and will continue to do so. I should also thank JR for their super-fast processing and shipping. I placed my last order on Sunday of Labor Day weekend and it was immediately processed , sent to USPS on Labor Day, and I received it on Wednesday. Awesome! Thanks JR. This cigar works for me. When i spend more money on a cigar I like to enjoy it. These smoke well and burn evenly. A little hot but you get for what you pay for. Other reviewers seem to be smoking these just the way they are. They are intended to be broken up and enjoyed in a legal MMJ state. These work perfectly for my application. They brake up very easy along an easy to spot line and the glue strip falls right out making it easier to roll with than any other cigar I've worked with. I just wondered why the change in shipping? I could expect to receive my previous orders in two or three days. This most recent order took a full week ( seven ) days. 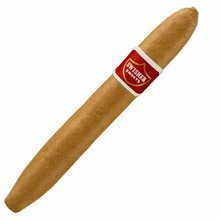 I'm a box-a-week cigar smoker, so Swisher Perfectos at 46 cents per stick fit into my budget. I also have some $3.10 per stick, 6 x 60 hand-rolled cigars that are a longer smoke, but no better tasting in my opinion. They're certainly not worth the 670% price premium (I estimate they'd cost me over $1500 a month)! Good value. Perfect for cold weather. Great smoke for the money. They last about 15 minuets which works well when outside and the weather is cold. They’re my go to winter smoke. Best cigar for every day smoke, It works for me better than Philles Titans and cheaper for me its the best.